The court said that corruption was a "hydra headed monster" which was "eating into vitals of the country"
New Delhi: Two MCD officials have been sent to seven years in jail by a special court for misappropriating over Rs 15 lakh by showing disbursement of wages to about 800 'ghost labour' in muster rolls, saying graft was like "a hydra-headed monster" eating into the vitals of the nation. The court refused to take a lenient view towards the two officials, both on suspension, and observed that their moral obligation was to serve the country with utmost honesty and instead they served themselves by indulging in corrupt practices and siphoned off public money. Special Judge Hemani Malhotra awarded seven-year rigorous imprisonment to then junior engineer Agnesh Verma and then assistant engineer Tara Chand for offences of cheating, criminal conspiracy and criminal breach of trust by public servants under the IPC and criminal misconduct under the Prevention of Corruption Act. The court also imposed a fine of Rs one lakh each on the two convicts. "The convicts in this case, in utter disregard of public duty introduced ghost labour in the muster rolls and misappropriated/pocketed lakhs of rupees belonging to the Conservancy and Sanitation Engineering (CSE) Department, Shahadara (North), MCD by showing disbursement of wages to those ghost labour in the muster rolls," the court said. It also observed that corruption was a "hydra headed monster" which was "eating into vitals of the country". "It is the strongest force which is pulling us down and if we do not eradicate corruption from our system, it will not only swallow us but also push our country to oblivion and a point of no return. "The public servants have a moral obligation to serve the country and its citizens with utmost honesty. The convicts in the instant case, instead served themselves by indulging in corrupt practices over a series of transactions over a period of three months by introducing ghost labour in the muster rolls, thereby siphoning off public money," the court said. 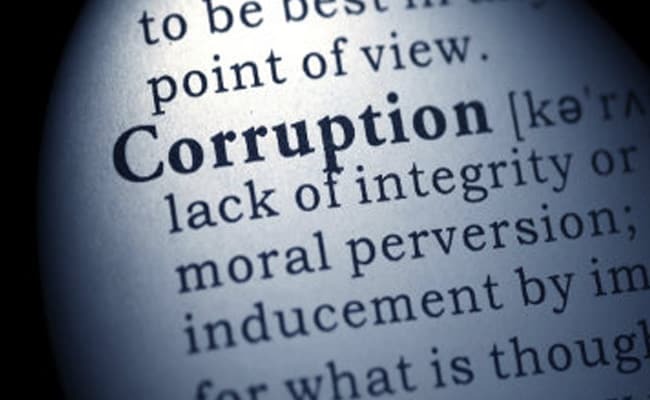 It said the quantum of money misappropriated was not material or germane and that it was not a routine general case of corruption where a public servant was held guilty of taking bribe for a particular act from a victim. Prosecutor Atul Shrivastava sought stringent punishment for the convicts saying that to curb such offences, a strong message needs to be sent to the society as corruption is a white collar crime against the society. However, Verma and Chand sought leniency on the ground that they have to support their families comprising aged parents, wives and children. According to the anti-corruption branch, in order to prevent water-logging during monsoon season, CSE Department initiates a drive of desilting of drains in Delhi during the pre-monsoon period. For this, the work was executed in 2002-03 by Verma, Chand and co-accused Harpal Singh, an executive engineer who has since died. A complaint was made by a woman regarding irregularities committed in the payment of wages to muster roll employees engaged for desilting of drains during this period. After investigation, a charge sheet was filed against three persons. The prosecution claimed that a payment of Rs 15.3 lakh was disbursed by Verma in conspiracy with Chand Singh in the names of 791 fictitious muster roll employees causing wrongful loss to MCD and wrongful gain to themselves. The court also noted that the witnesses had deposed that they had never received any wages and that the signatures or thumb impressions appended against receipt in the muster rolls did not belong to them. During the trial, Verma and Chand claimed innocence and said the work to be done by casual labour was extremely dirty and dehumanising in those days and nobody was ready to take up the job. For this, they had asked beldar to get some casual labourers to carry out the work of maintenance and flow of drains for the rest of the year. They claimed that the muster rolls were filled by subordinate staff and there was no reason to doubt the details filled by them.